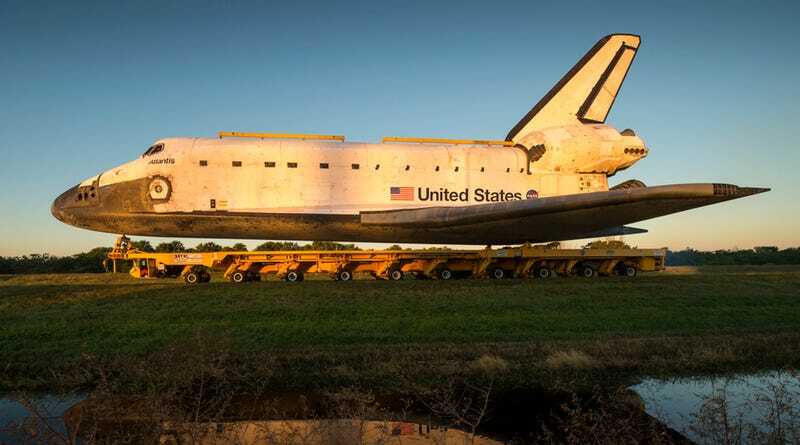 This week we have a school in England that filled its new capsule with the latest in tech, a casket from the Reagan administration that for some reason includes biscuits and gravy, and a public ceremony in Florida which will show off a capsule for the retired space shuttle Atlantis. And a town that hates fun. Like, really hates fun. On Monday a time capsule will be dedicated and sealed into a wall of the retired space shuttle Atlantis in Florida. Visitors to the Kennedy Space Center can check out a ceremony starting at 10am which includes some rare and wonderful items of a space era that has sadly been pushed into the history books. The San Jose Public Library recently cracked open a time capsule from 1970 that few people were expecting to see anytime soon. The capsule included photographs, tape recordings, and newspaper clippings, all of which are now on display. Photos of the items have been uploaded to the SJPL's Flickr account and show that the condition of the items is really a mixed bag, with some of the letters not faring quite as well as other items.